Nicely out for a day on the beach or a picnic in the forest! You can take all your things with you in the BERG Beach Wagon. 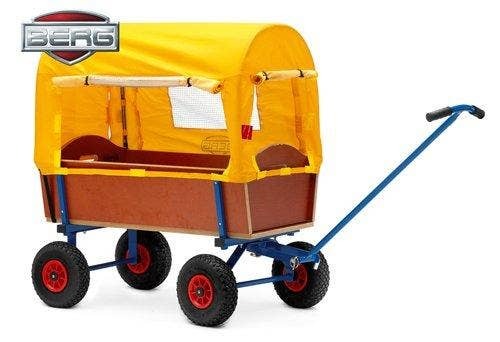 The BERG Beach Wagon is a solid and durable product which guarantees you years of fun. The Beach Wagon is designed in such a way that you can transport your children en goods easily, safely and in a comfortable way. Easy to transport since you need no tools for disassembling the wooden panels.